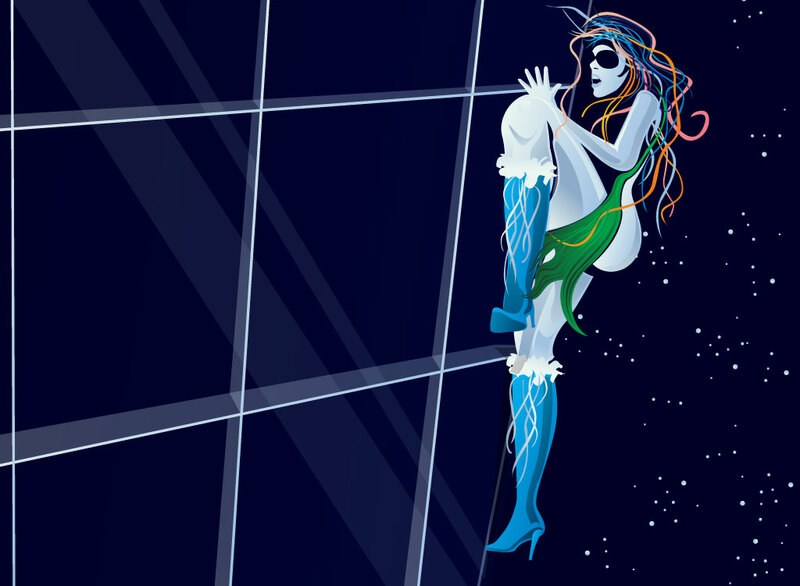 Stylized woman vector with high boots climbing on a glass wall of a tower building. Dark blue vector background with a close up view of a skyscraper with an abstract woman graphic scaling the side. She has colorful hair, sunglasses and high heel boots. Comic style drawing in a stylized illustration. This free athletic footage download is a cool wallpaper or layout for a comic shop promotion. Tags: Abstract, Buildings, City, Climb, Daring, Girl, Skyscrapers, Stunt, Urban.